← Does the Phrase “Work from Home Business” Scare You? 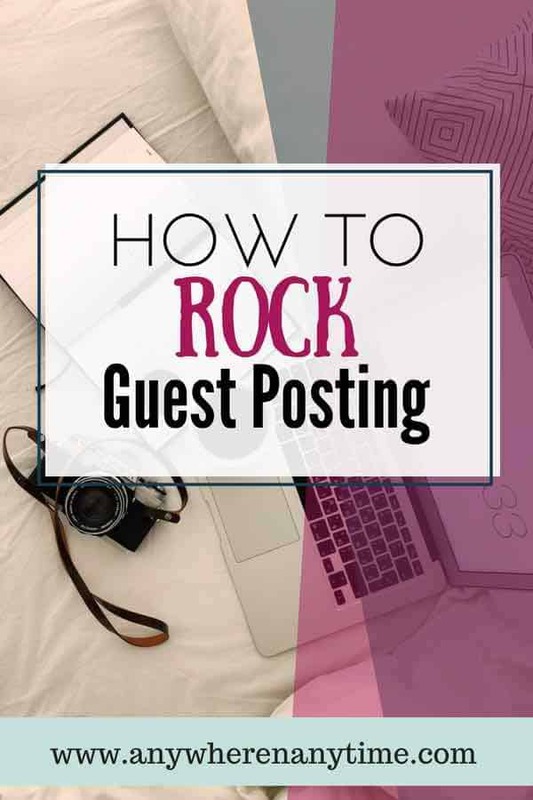 Do you need some effective guest blogging tips to beef up your blog before the kids wake up in the morning? 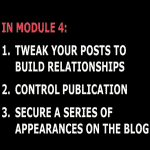 Do you want to learn the secrets of developing your blog into a profitable endeavor? Are you trying to figure out how to give your blog more substance? If you answered yes to any of these questions, continue reading this review of Write Like Freddy. The Write Like Freddy course has been completely revamped and improved and is now known as Standout Guest Posting. The revamped course has the same great content and techniques, but the presentation has been upped several notches. Until I update this review, I would suggest you go straight to their site to find out more specific details. Write Like Freddy is a four week online course that helps bloggers or perspective bloggers develop their writing skills, learn how to expand their online presence and get more traffic to their blog by developing useful relationships. 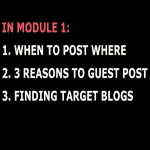 Danny Iny who is behind the development of this course, teaches you how to effectively use guest blogging to develop your business. Danny started out teaching online marketing. He developed this method for his own blogging needs by trial and error and ended up becoming the Freddy Kruegar of Blogging! The course developed as a result of peoples’ interest in replicating his methods. Write Like Freddy is a powerful course designed to teach you how to write effective blog posts and expand your online presence in order to get a good reputation and plenty of traffic to your site. It consists of four video modules which are sent to your e-mail inbox, one by one, on a weekly basis. The presentation is clear and straight forward. The tasks are chalked out to allow you to digest the material without eating too much into your daily schedule. Who Is Write Like Freddy For? Write Like Freddy is for anyone who seriously wants to succeed in the blogging world or who just wants to learn how to write more attention-grabbing posts. This includes stay-at-home moms or college students who want to blog in their free time, full-time or wanna-be bloggers, or just internet marketers looking to increase the quality of their posts and their number of readers. It is not for people unwilling to put in the effort and time to produce quality work. As mentioned above, the training is in the form of videos with accompanying transcripts, slides and worksheets. It is interactive – in order to benefit, you have to follow Danny’s instructions and do the weekly homework. And then you are free to contact him (and his team) in between with any doubts or troubles you are having. One thing that I particularly like about the training is that there is a nice balance between providing ready-to-use materials and making you figure out things for yourself. By that I mean that he provides all the form letters (e-mails) you need, at the same time explaining how you need to tweak them in different circumstances. 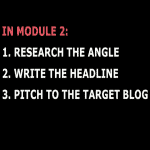 Also the worksheets allow you to work through the processes he teaches to find the blogs that suit your needs. As far as additional tools, there is an Alumni Association Network in the form of a Facebook group where members can share and discuss ideas. (It isn’t always very active though.) There are also several lists of “Where to Post Blogs” which are quite useful to help you get started. The support is great. You can contact Danny (and his team) by e-mail or even by snail mail. I have always gotten e-mail responses within 24 hours, though they say 48 hours maximum. As far as snail mail goes, I assume it is responded to quickly, but I have no experience there! Danny and his team also offer two additional services for critiquing blog posts and helping develop a strategy for your blog. 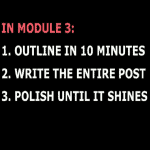 There are a lot of writing courses out there that help develop your writing skills, style and all of that. But Write Like Freddy helps you develop the real tools and skills you need in this day of marketing yourself and your site. 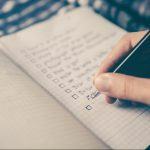 As an online marketer with limited time resources, I personally found the tips on how to give more substance to your writing the most useful so far. The tips on effective guest blogging to expand your online presence require you to be able to devote substantial blocks of time to your projects at certain periods. This may not be practical for a stay-at-home mom without family support (or some type of extra support) during these periods. On the other hand, if you are starting out slowly, you can use all of Danny’s strategies except the most time consuming ones until you are ready, and you will still achieve a lot. And when you are ready (i.e. have the time), you can soar! Verdict: It is a legitimate anywhere anytime job training. If this sounds like something you could use, you can find out more from Danny himself or dive straight in and join. If you have any questions, feel free to leave them below. And If you’ve had any experiences with the course, please share those below too! ​Do Online Job Training Courses Provide Careers from Home? Write Like Freddy is an interesting find and not that expensive for a four-week course. I’ll definitely check it out. Thanks. No it isn’t that expensive, John. And you have life-time access to the material and help from Danny and his team. I’ve found their support and help to be great. Share it all you want! It takes work, but following the methods can really work wonders for your blog. Write Like Freddy looks like a useful tool for upping your blogging game. It’s good that you are actually shown, that’s always a big help. Thanks for this review. I’d not heard of this before. Yes, Tony, it is a useful tool. And the showing aspect is a definite plus point. So many people are out there telling us what to do, but when we are shown it makes everything so much easier. This is a program I have never heard of, but was looking for further information on enhancing my blogging skills. I am quite good at blogging but sometimes confuse myself and lose direction within my writing. I will take a closer look to this Write Like Freddy program.. If confusing yourself and losing direction are aspects you want to work on, Chris, then you might want to take a look at it. The techniques help you structure your writing as well as think more deeply about the points, which would automatically help you keep direction. Anyway take a look and see if it appeals to you.